This free app offers a few simple games for your young preschool children, but it isn’t likely to have much staying power without subscribing to the higher level monthly program. Smarter Kids offers a selection of letter and number games for young children. Options include counting, number recognition, number concepts, letter recognition, simple spelling, and same/different. This app performs as expected and responds quickly to touches and drag motions. There is a “help” section that offers some explanation of the games and of the subscription plans. However, the narrator’s voice is quite robotic and expressionless, which while may be a novelty to the kids for short while, could be an overall detraction from the app’s enjoyability. This app is designed for the very young. Though developers list it as being appropriate for children from 18 months through 14 years, this is a gross misstatement. The app actually covers counting, number recognition, letter recognition, initial sounds, and some beginning spelling. 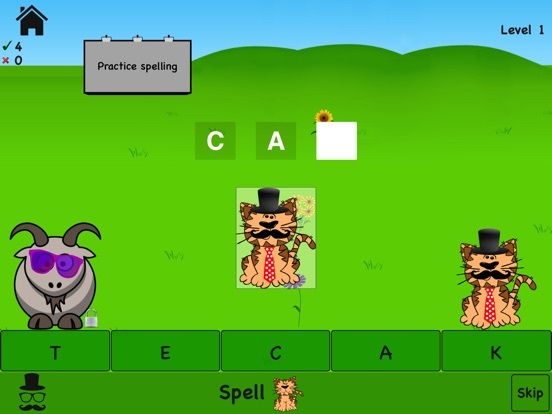 It actually is educationally appropriate for children from early preschool through possibly late preschool or kindergarten in the free version, and possibly grade 2 in the paid subscription, but there is not much content here for older children. The games are quite repetitive, but some do allow a fair amount of free choice. For example, choosing a letter to see a word that begins with the letter, or choosing a number to see that number of items. Some games offer a choice of items/animals to see or count in the free version. The subscription versions do offer a few more options, but still seems pretty limited. Aside from the robotic, expressionless voice, this app offers little in the way of entertainment in the free version. Successful responses receive a mechanical praise word or phrase that is repeated in print at the top of the page. Level completion is acknowledged verbally, but not congratulated. And many of the games stay on level one unless the subscriptions are activated. Though this app is free on the App Store, it does not have much to offer most children. Young children are likely to tire of it quickly, and older children won’t find any helpful activities at all in the free version. Subscriptions can be purchased for monthly fees of ninety-nine cents or $5.99. The Basic Subscription offers additional levels of most games and additional animal characters. 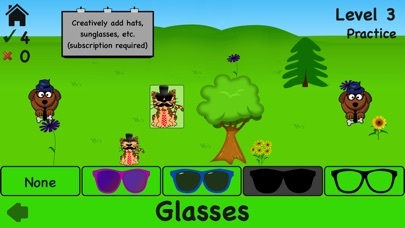 The Elite Subscription offers multiplication and the capability to add or change hats, glasses and other accessories on the characters. This app is not particularly child-friendly, especially considering the target age group. There are unprotected links to the App Store, social media, and other online services. Sound Touch is a sound/picture feast for young children that will entertain and, with caregiver or teacher support, build language skills. Hundreds of colorful photographs are paired with high-quality sound recordings to help children make connections and learn about the world. Monty’s Backyard Adventure is an entertaining and colorful set of activities designed to help young children with early learning tasks such as matching, memory, numbers, and more. 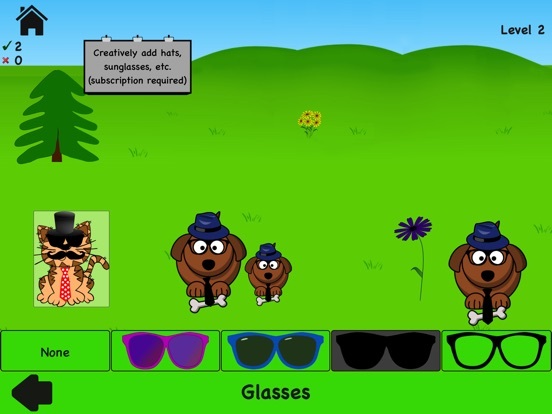 Players will enjoy interacting with the canine main character and will get lots of play value from this app. Miaomiao’s Chinese for Kids is an engaging way for young children to get a taste of Mandarin Chinese. They can learn over fifty words and phrases by seeing, hearing, and writing characters.